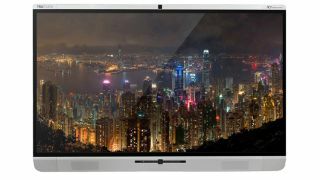 The What: DisplayNote Technologies, a provider of collaboration tools for connected working, has announced that its wireless presentation solution, Montage, will be included with all Newline’s TRUTOUCH X Series, now shipping. The What Else: A software version of Montage will be included with all of Newline’s TRUTOUCH X Series Displays, allows meeting participants, whether they’re in the meeting room or connecting remotely, to wirelessly stream what’s on their device to the main meeting room display at the same time. Attendees can join the meeting via a Windows application, through a browser, via AirPlay, or with native Montage apps for iOS and Android. Using either touch or a mouse, Montage allows users to reorder and rearrange how participant screens appear on the large-format display. As well as wireless presentation, meeting attendees connecting remotely can communicate with those in the meeting room via Montage’s native video conferencing. “We are very happy to announce our partnership with Newline,” said Paul Brown, CEO of DisplayNote Technologies. “We have worked closely with their team to build a solution that makes meetings more collaborative for everyone and puts the display at the heart of the interactive meeting room. The Bottom Line: Every Newline’s TRUTOUCH X Series features two wide-angle cameras, microphone array, and speakers embedded in a single display, which improves ease of installation. Users can walk into the meeting room and quickly start a videoconference without connecting extra devices. X Series’ advanced touch technology helps facilitate collaboration with the most comfortable writing experience. Anyone can simply use their fingers to annotate on the display, share, and save the notes with one button.